Choosing to build a customized luxury pool is considered a much better investment than installing a pool with a predetermined design. And just like your own personal dinner order meets your individual taste, so does the custom design of a pool that fits perfectly your space and provides exactly what you need. Whether the goal of the design is to accommodate the amount of free space available, the number of users you’ll typically have, or to simply meet your preferences; here are 4 reasons why a luxury pool design makes sense for your home. When the pool design is a shared idea between you and your builder, you have control over the final product. You are not bound by pre-fabricated equipment and design elements. No predetermined sizes, shapes, or features. This also limits the amount of change you have to make to other areas of your home or yard. A luxury pool design is made specifically for you. Your existing yard and landscaping may make a pool installation seem challenging. This is where the ingenuity of a custom design comes in. You can design and implement features to account for space constraints and terrain. You can build a custom pool on flat or sloped ground, account for twists and turns, and use as much or as little space as necessary. Choosing the right pool contractor is the most important decision you’ll make. From design to installation to maintenance, selecting a contractor you can trust and work with as you oversee your project is essential. Your new pool will be the centerpiece of your home and the hub for all of your entertaining. Simply put a custom designed luxury pool simply looks and performs better. This will be a direct reflection of your tastes and needs, and will give you the most out of your investment. 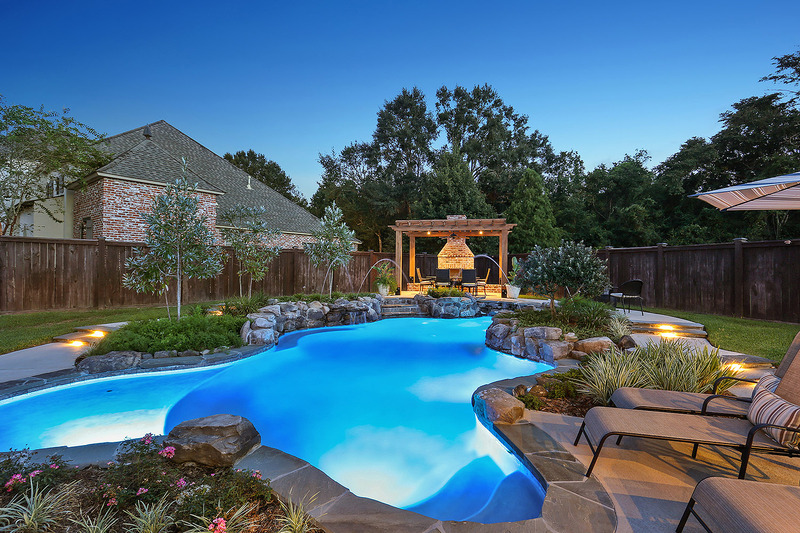 If you are considering a pool for your home, Lucas Firmin Pools designs, builds, and services custom pools in the Baton Rouge area.